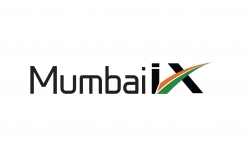 Interwire Internet Services, owner and operator of the Mumbai Convergence Hub (Mumbai IX), India’s largest open peering exchange hub, has agreed on a Memorandum of Understanding (MoU) with DE-CIX, the world’s leading Internet Exchange operator to strengthen its ambitions as influential drivers of India’s digital infrastructure. Interwire will now collaborate DE-CIX to further develop the Internet Exchange and Interconnection eco-system in the local Indian market, with a strong focus on Mumbai. Mumbai, India, January 30, 2017 --(PR.com)-- Interwire Internet Services, owner and operator of the Mumbai Convergence Hub (Mumbai IX), India’s largest open peering exchange hub, has agreed on a Memorandum of Understanding (MoU) with DE-CIX, the world’s leading Internet Exchange operator to strengthen its ambitions as influential drivers of India’s digital infrastructure. Interwire will now collaborate DE-CIX to further develop the Internet Exchange and Interconnection eco-system in the local Indian market, with a strong focus on Mumbai. “New digital environments are creating new challenges and opportunities around the world, and cooperative efforts are crucial to meet those new challenges and take advantage of the opportunities. We appreciate that DE-CIX is a major representative of the International Internet community and therefore has access to a wide range of telecoms business experiences and technical knowledge in the area of Internet Exchange and related Interconnection Services,” says Nikhil Rathi, Director of Interwire Internet Services. DE-CIX provides premium Internet exchange services and operates several carrier and data center neutral exchanges. The company serves 1000+ carriers, ISPs and content networks from 60+ countries, including all leading international players in various metro markets in Europe, the Middle East and North America. With 5.5 Terabits per second of peak traffic, DE-CIX Frankfurt is the world’s leading Internet exchange. For more information, please visit www.de-cix.net.